Just at the break of the dawn, a distant alarm call by a sambhar deer breaks the quietness and alerts the jungle folk of the presence of a striped predator. 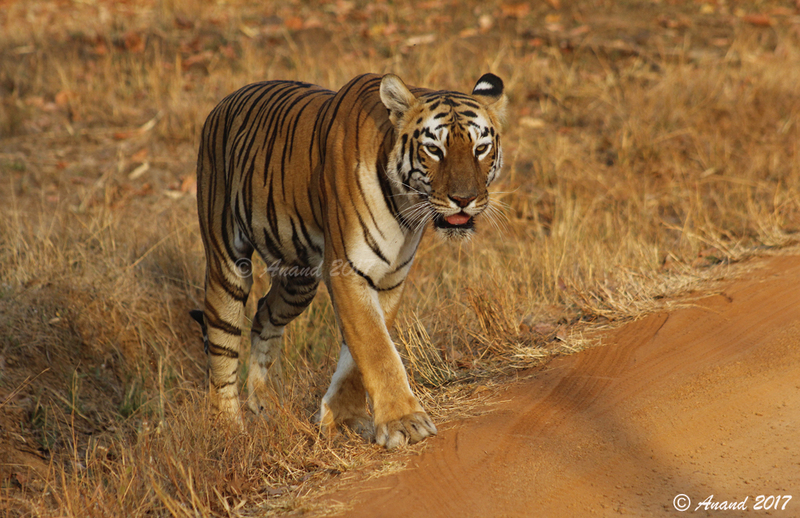 The tiger is on the prowl. The sharp senses of the guide picks up the clue and gets the jeep right there. After some tense moments appears the most majestic of all cats. 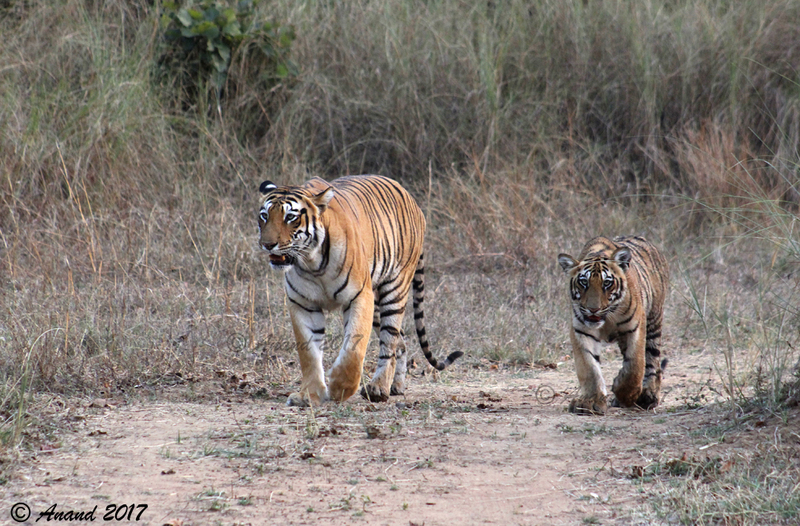 You will never forget the awe of your first wild tiger encounter. 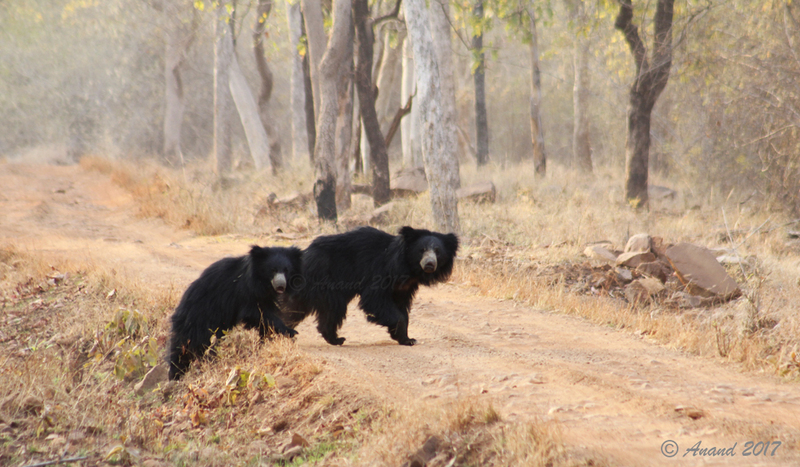 Somewhere on a deserted road in the thick bamboo cluster a mother sloth bear returns to her lair with her young one. They were feeding on the wild fruits and termites the whole night and now rush to the cool of their den before the sun bakes the earth. In a maze of rocky hillocks a leopard, the most cunning of all predators sit on top and surveys the surroundings. At the very first hint of your presence it fades into the labyrinth. It has disappeared but still keeps an eye on you. Out in the grasslands the wild dogs, the whistling hunters have just had their kill and are now socializing with the pups. With their bellies full and the support of the tightly bonded pack of 17, there is little to worry about. 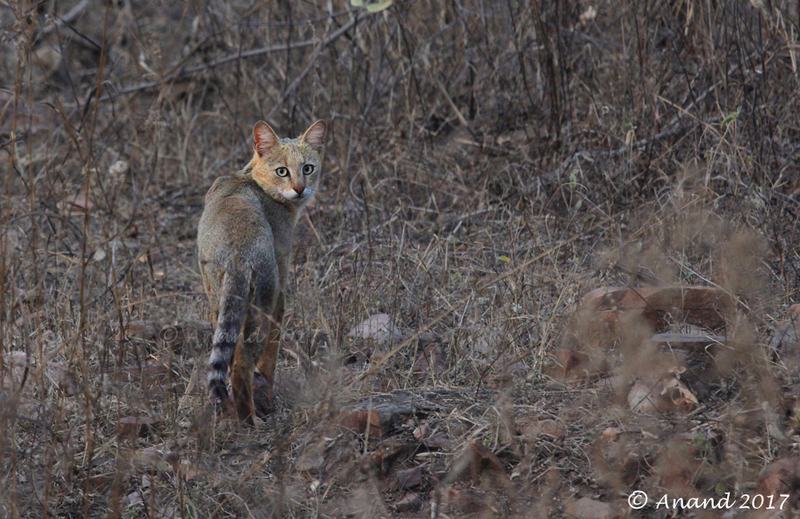 Just as the sun goes down, one of the first creatures to appear is the agile jungle cats. It walks through the tall grass stretching every now and then and smells the presence of rodents. It stalks, jumps and fails yet again. probably feeling embarrassed, it gives you a last look and exits the scene as if nothing happened. 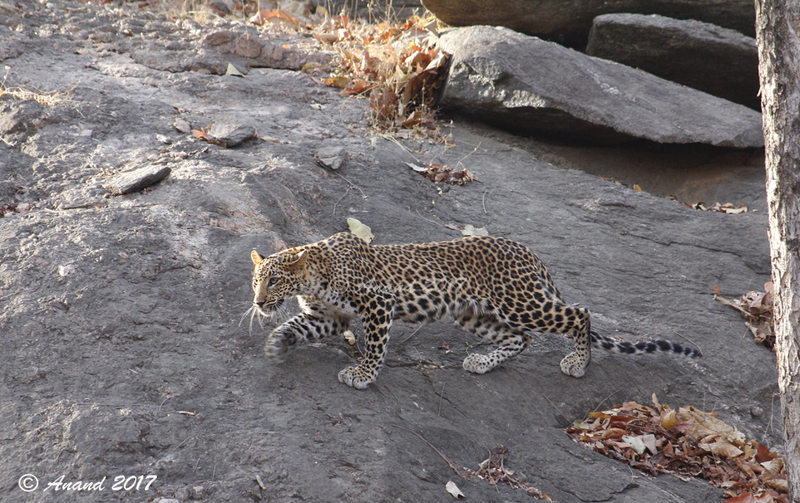 A leopard from the Wilds of Pench decides to fade away. 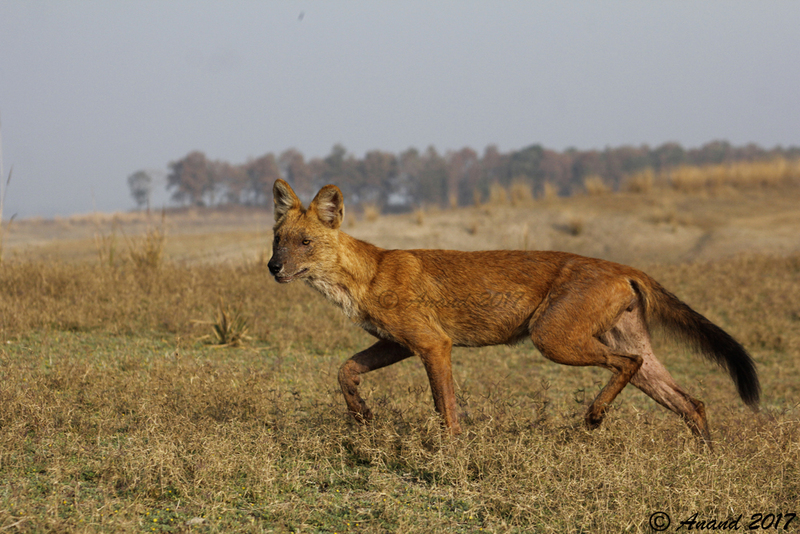 The alpha male from a wild dog pack in Pench. The embarrassed jungle cats gives us the last look after a failed hunt before quietly exiting the scene. From the wild plateaus of Panna.